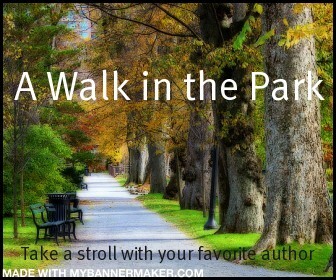 A Walk in the Park with Megan Crewe & Giveaway! It’s another Walk in the Park! Today we have a special guest joining us, Megan Crewe the author of The Way We Fall (Review here). Welcome Megan! Thank you so much for taking the time to stop by my blog. What was your favorite part about writing The Way We Fall? I think my favorite part was exploring all the intense emotions that the story brought out in the characters. The fear of the virus, the struggle to hold on to hope, the sense of loss as more and more of the things they’d taken for granted failed or were taken away. Writing those scenes was often hard, but I find it interesting to see what characters do when they’re pushed to the edge. Kaelyn was an interesting character. One I see to inspire those who read her story. What was the biggest challenge in writing her? The biggest challenge with Kaelyn was making sure readers would really get to know her through her journal entries. She’s a fairly reserved and cautious person (though she opens up more as the story progresses), and that of course was reflected in her voice. I had to find ways to show the other sides of her personality, that didn’t go against her character. I really enjoyed Gav as well. *le sigh* What was the best part about writing him? What I enjoyed most about writing Gav was his unpredictability. He’s got a quick temper, and very strong principles and feelings, so I wasn’t always sure how he was going to react in a given scene until I was actually writing it. It can be a lot of fun to sort of “observe” a character in a situation and discover what they’re going to do, and sometimes he’d provoke unexpected responses out of the other characters too! Now, in The Way We Fall we are introduced to a harsh reality of sickness. Where did the idea come from? I’ve always found the idea of epidemics incredibly scary. In fact, the only books that have ever affected me enough to give me nightmares were Stephen King’s THE STAND and Carrie Ryan’s THE FOREST OF HANDS AND TEETH, which involve different sorts of viruses. And I find it most fulfilling to write books that really get to me emotionally. I wanted to write a story that would affect readers the way other epidemic stories have affected me. Will Leo be a bigger part of the next two books? Oh yes! 🙂 Leo is one of the most important characters in the sequel. What can I say without being spoilery… Well, the next two books are not written in journal format (other than a brief entry at the beginning of book 2), but rather regular first person narration–still from Kaelyn’s point of view. They involve more action than THE WAY WE FALL, and I didn’t think I could tell the rest of the story properly using a journal. Also, I feel Kaelyn’s gotten to the point where she doesn’t really need the journal as a support anymore. You will see all of the characters still alive at the end of TWWF at least once in the sequels. Not all of them survive to the end of the trilogy. There are also some new characters who enter the stage. Not all of them survive either. 😉 But then, if you’ve read TWWF you should know that no one is safe! I can also promise explosions and at least one car chase. Almost always tea. I can only handle coffee if it’s more milk and sugar than actual coffee. One thing you wish you knew about writing before you started. That it’s more important to write the things you write well *really* well and do the best you can with the rest, than to try to write a story that no one could find anything to complain about. Because the latter is impossible anyway. And people love books for the things they do really well, not for doing everything okay. The hardest question so far! Um… Three-way tie between pecan pie, blueberry pie, and raspberry chocolate mousse cake. I’m actually very fond of the world I live in right now! Most of the ones I enjoy visiting through books I think might be rather unpleasant to really exist in. The Changeling by Zilpha Keatley Snyder. The place I’ve most wanted to visit and haven’t been able to yet would be Egypt. Would love to experience that culture and history in person. The Way We Fall is out today!!! Go get your copy now! my favorite book of my childhood would be Harry Potter.. The books are just such an enormous part of my life and there're no others that would be the favorite ones.. Favorite childhood book. Treasure Island.